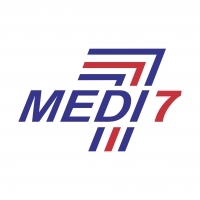 Doctor owned Medi7 is expanding. Quality GPs sought for positions either part time or full time at medical centres in Bentleigh and Chadstone and St Kilda Rd as well as Mooroolbark and our new Lilydale clinic. A strong steady process of support, marketing and promotion. Strong systems based approach to care. Sign on plus performance bonus. Contact mayat medi7.com.au with CV and contact details for further information.